Ally Kinard and 89 Desert Co. The Beacon, corner of State Street and Duling Avenue. Greg Davis and Gabe Porter of A Little Time to Grow speak to customers. If you’ve noticed the uptick in vendors on the west end of Duling Avenue at recent Fondren After 5 events, thank The Beacon. Their Beacon Makers’ Market, a consciously curated outdoor market featuring small batch artisan makers, farmers and artists of all kinds, hosts 15-20 booths during the monthly event. 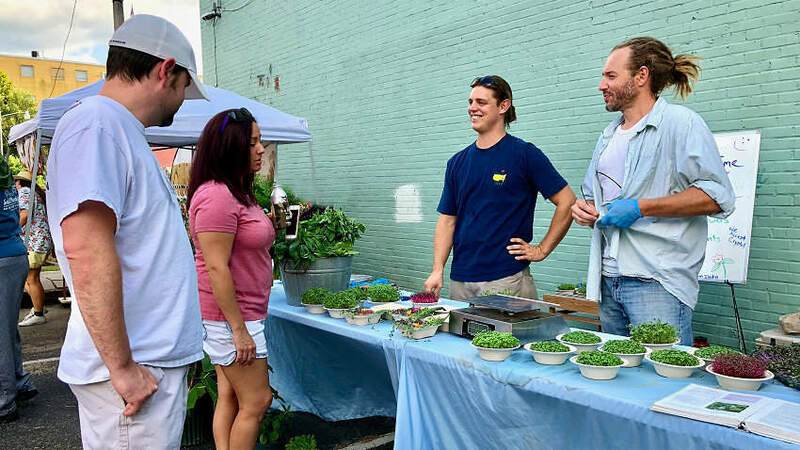 Founder Nicole Jenkins, who, along with husband Jason owns The Beacon at the corner of Duling Avenue and State Street, said the market began last November before their brick-and-mortar even opened its doors. “Our aim is to connect makers directly to the community and shine a light on local artists, small businesses and anyone who makes anything by hand, especially those who are just getting started and/or don’t have a presence in Fondren,” Nicole said. 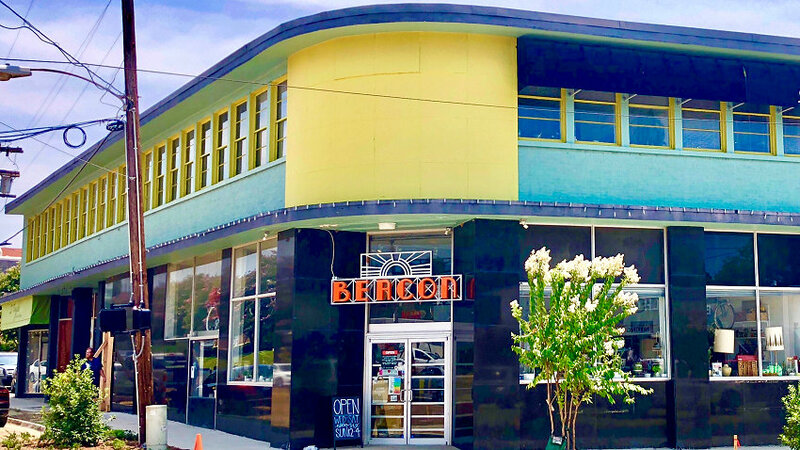 Giving an avenue to independent makers, The Beacon Makers’ Market is creating an alternative experience during Fondren After 5 for people to get up close with the artists, pick up unique handmade and vintage goods as well as enjoy fresh fruit smoothies, juices and veggies. 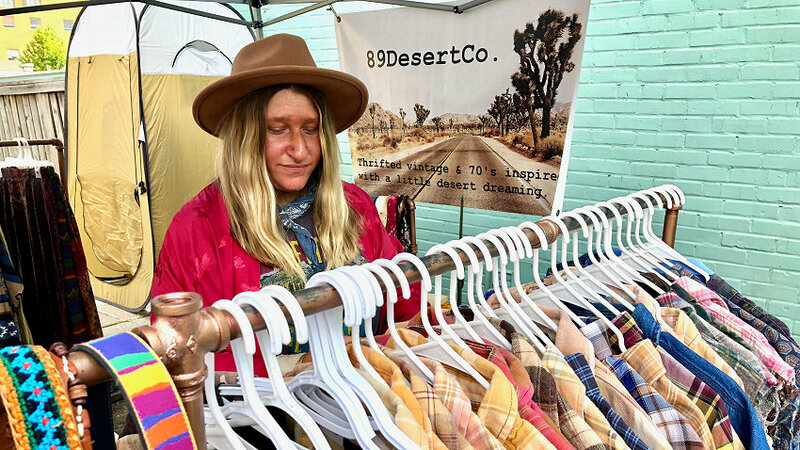 Ally Kinard, a thrifter an upcycler who owns popup 89 Desert Co., participates regularly in the market and says the event has been beneficial to her business. Just down the row, Gabe Porter and Greg Davis’s A Little Time to Grow sets up just as much to be educational as they do to sell their product. An artful October market is on tap with mostly artists, including Laurie Alan Browne, Mucha Art, Sabrina Hagerman and Sadara Evans, to name a few. “It’s been wonderful to see the growth over the past few months and get so much positive feedback from both the makers and the community,” Nicole added. Are you an artist looking for exposure? The Beacon Makers’ Market is seeking future participants.